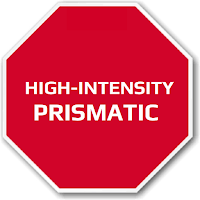 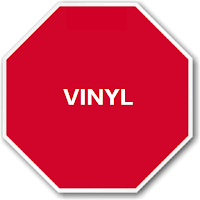 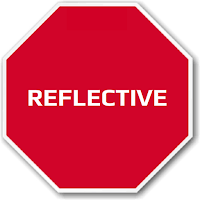 Create a safety visual message reminding your workers to wear a personal protective equipment (PPE) for the head. 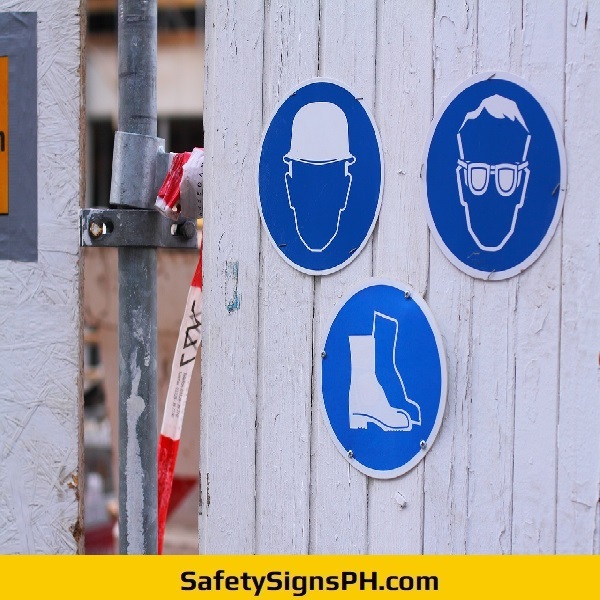 Our custom head protection signs are a necessary PPE signage type aimed at protecting employees against a wide variety of potential risks and hazards such as impact from falling or flying objects, risk of head bumping, hair entanglement, and much more. 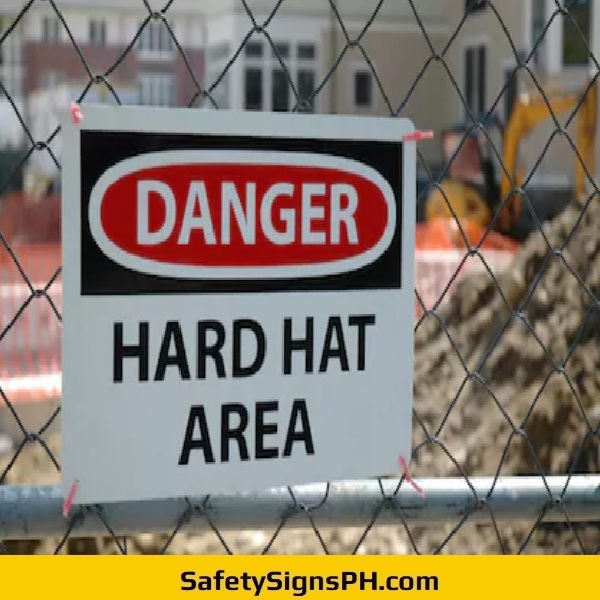 They specifically communicate the necessity to use the appropriate headwear and the specific areas where these are to be worn. 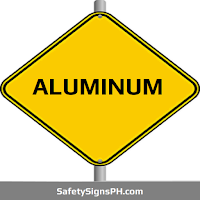 Among the most common head protection equipment include safety helmets, hard hats, bump caps, and fire helmets. 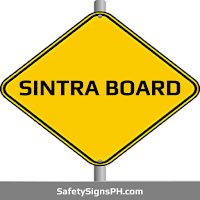 Available in custom sizes and designs, our head protection signs are applicable for organizations and businesses in Metro Manila, Cavite, Laguna, Rizal, and Batangas, Philippines engage in building, construction, demolition, civil engineering, maintenance, forestry, mining, metals and steel, manufacturing, and many others. 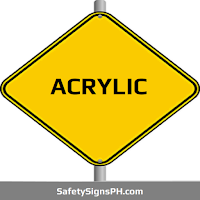 As a professional safety signage maker, we take pride in the craftsmanship of every signage that we fabricate. 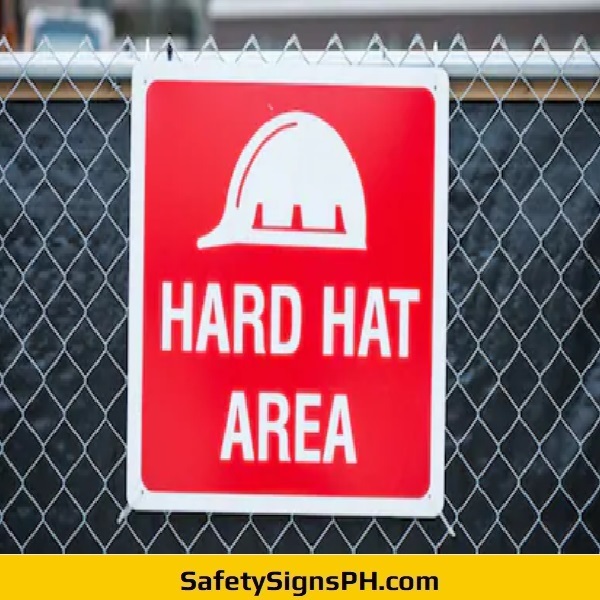 Our skilled staff always ensures that you get nothing but top-notch head protection signs using quality materials, heavy-duty welding equipment, and large-format digital printer and cutter. 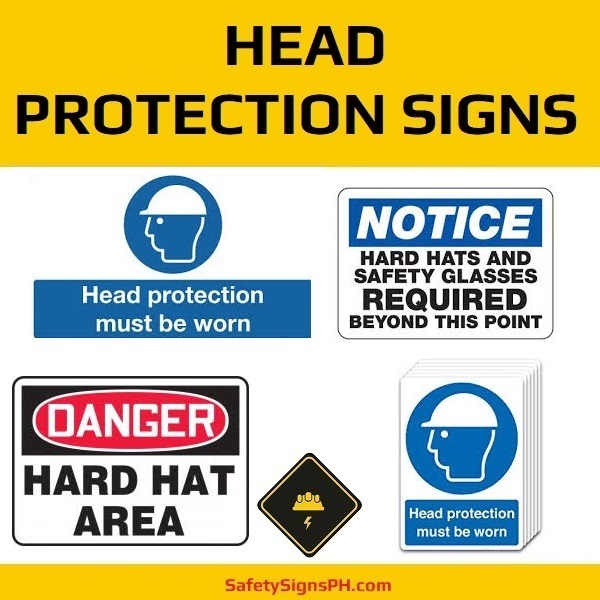 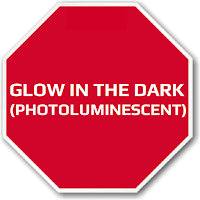 Feel free to contact us today if you need additional details about our head protection signs. 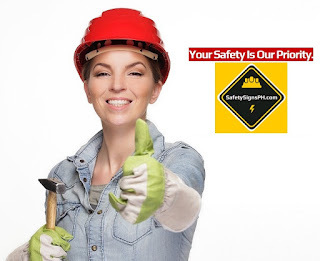 We provide free, no-obligation quote upon request. 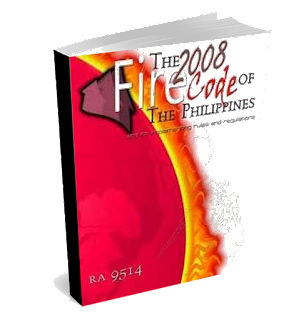 Take a look at what we have to offer at our online shop. 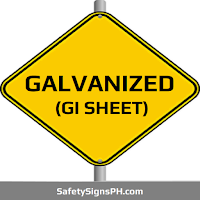 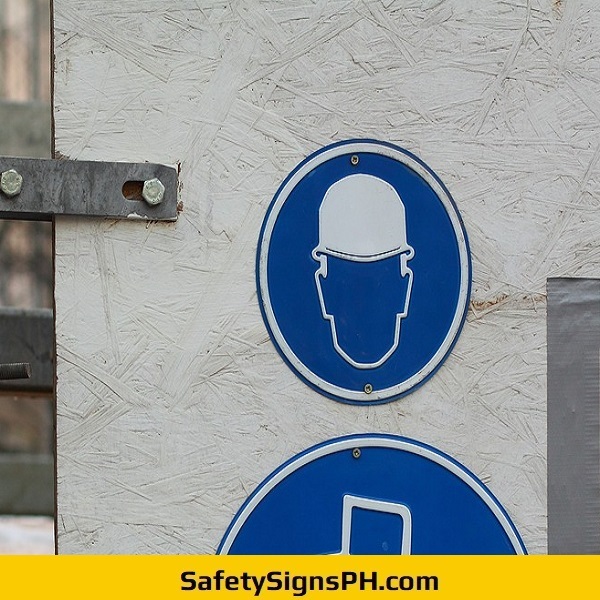 We deliver our bespoke safety signages at affordable prices all over the Philippines.